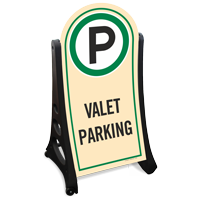 This rolling sidewalk Valet Parking sign will help attract those looking for valet parking and let other car owners know not to park there. 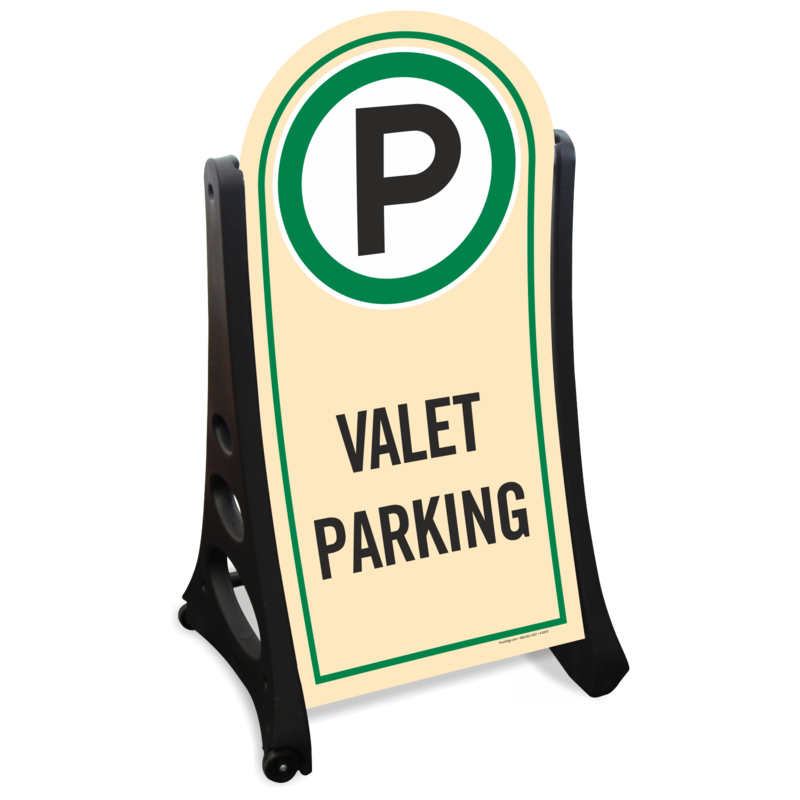 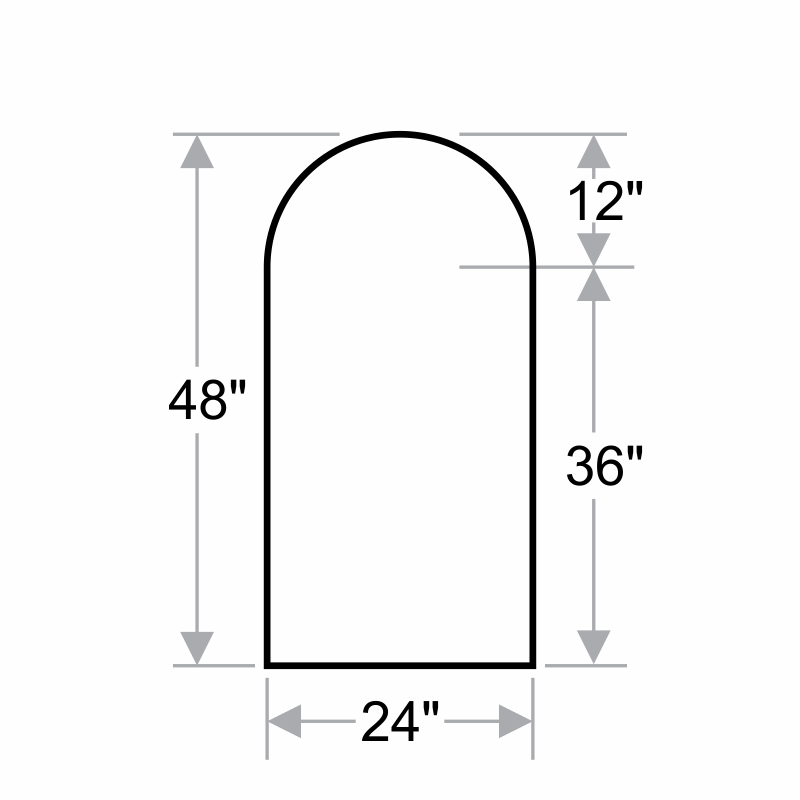 • Rounded top gives a distinctive and eye-catching look to the sidewalk sign. 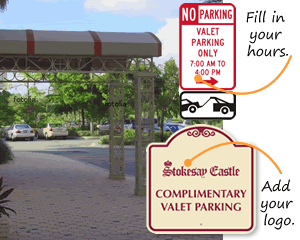 • With durable frame and wide base, A-Frame sidewalk sign won't fall over easily, even during stormiest of conditions.